“Consumer products” is a wide-ranging term covering a multitude of items that utilize extruded plastic shapes as part of their construction. Crescent Plastics has been producing custom extrusions for consumer products for decades. 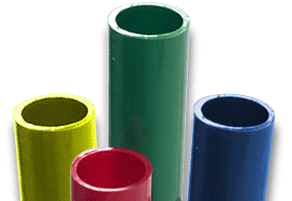 We use a variety of thermoplastic materials, colors and finishes to deliver plastic extrusions that meet our customers’ unique design requirements. As needed, our engineering team can provide design support to assist your product development process. We offer assistance during any stage of development, whether you have nothing but a rough sketch to work from or a completed prototype that’s ready to move into full production. With decades of combined experience, our engineers can suggest material changes, design alterations that will improve manufacturability, and more. We can provide 3D printed samples that allow you to test for fit, form, and function before moving on to high volume manufacturing. We utilize DFM (design for manufacturing) methodology to ensure the highest levels of quality and efficiency. Crescent Plastics builds all extrusion dies and downstream tooling in-house to reduce costs and improve turnaround times for customer projects. This also helps us guarantee the quality and accuracy of dies and tooling, which increases productivity and eliminates material waste. Our DFM processes guarantee optimum quality and production efficiency, helping you get your products to market sooner at lower cost. We can also provide printing, decorating, punching, drilling, routing, assembly, kitting, packaging, and numerous other secondary services. 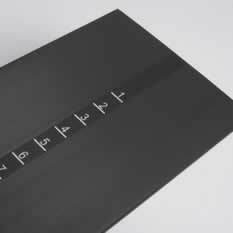 With our value-add capabilities, we can give you more complete custom extrusions that are perfectly matched to your design requirements and ready to use upon arrival. Providing these secondary services in-house provides one-stop sourcing to reduce the cost, time, and effort you might otherwise devote to your project. We have the experience, the technology, and the expertise to produce the custom tubing and extruded plastic shapes your consumer products need to exceed. Contact us today to request a quote or for more information on our plastic extrusion capabilities. We are the custom extrusion experts!